For a lot of people, autumn is a refreshing and rejuvenating time of year when the temperatures start to cool down and excitement mounts for the upcoming holiday season. This is also the time of year when a lot of people either seek out professional fall cleanup services as part of their regular landscape maintenance initiative or they decide to take on this strenuous task on their own. 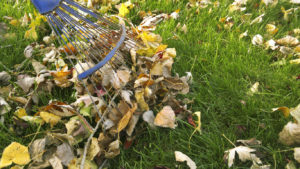 Unfortunately, raking leaves and removing debris from yards isn’t always an option for everyone because it’s very labour-intensive work, especially for people who already have back problems or other physical issues that might hold them back. If this is the case for you, then your best option is to hire a professional lawn and garden care company to come in and do all of the hard work for you. Aside from alleviating you of the heavy task of cleaning up your outdoor space this fall season, there are numerous other worthwhile benefits to consider when deciding whether or not you should hire a professional landscaping company to render their fall cleanup services. Expert landscapers have a keen eye for beautifying your outdoor space and optimizing its curb appeal in case you ever intend to sell your property. They can also examine your yard for any potential problems, inconsistencies, or dead plants that should be removed and advise you accordingly based on their many years of experience in the field. By hiring a professional landscaper to clean up your outdoor space this fall, you’re also giving it a fighting chance of surviving the impending harsh weather that’s coming in the winter. In the landscaping industry, the term for this is winterization and it’s an essential part of maintaining an aesthetically pleasing and healthy landscape all year-round. Always do your research thoroughly before hiring a landscaping company to do any type of work on your lawn, even if it’s just a minor cleanup project. Proper lawn care from a knowledgeable and highly skilled professional will ensure that your yard remains the envy of the entire neighbourhood and preemptive fall cleanups will also ensure that your outdoor space isn’t destroyed by inclement weather in the winter. Landscapers will be able to diagnose any potential issues with your plants right away and also recommend and implement appropriate treatment options. Hiring professional landscapers to clean up your outdoor space also means that you won’t have to spend your precious time or hard earned money and resources on doing it yourself. You might initially think that you’ll save a great deal of money by simply doing the work yourself until you realize just how much equipment is required and how much manual labour is actually involved. If you happen to work full-time, then the last thing you’re going to want to do in your free time is clean up your outdoor space and purchase the heavy machinery that’s needed to do it. Leave the hard work and sweating to the experts. FOREVER GREEN LAWN & LANDSCAPE INC. has been providing professional lawn and garden care services in Toronto and the GTA for over 20 years. We specialize in landscape maintenance, construction, design for both commercial and residential properties and we’re fully capable of helping you keep your lawn healthy and beautiful. To get a free quote or to book a consultation regarding your next outdoor space project, please contact us today!